There are over 20 ski resorts in the Savoie Maurienne area. This area is ‘one of the great transverse valleys of the Alps’; perhaps this is why so many choose to ski here. The Savoie Maurienne resort is posh and ready to enjoy your holiday in the great outdoors. It is possible to be on top of the tallest hill and see into Switzerland and also Italy. For the stunning views and breathtaking beauty, this is one reason so many choose to ski in the Savoie Maurienne area. One of the great resorts in this area is the Domaine Galiber Thabor. This resort has 33 ski lifts including 14 drag, 17 chair and 2 gondola styles lifts. There are more than 150km of runs. The highest point is 2600 miles into the air. Thrill seekers of all kinds love coming here for the experience of a lifetime. The great outdoors beacons those who are looking for adventure on the slopes. With 11 black runs, it has a dedicated following of those who live on the edge. Les Sybelles is another resort in the area with a good amount of fun and plenty of space with 310 km of runs. This resort is right in the Arvan Villads Mountains and was created around the “green” atmosphere or eco-friendly environmental guidelines. This large resort features 73 lifts, of which include 41 drags and 28 chair style lifts. From 22 beginning runs to 7 experts, this place has a little bit of something for everyone. Les Trois Vallees is by far the largest ski resort in the area. It has over 600 km or runs and features ample area to have good old fashioned winter fun. The 182 lifts, means that there is no waiting in line for a ride to the top of the slopes. With a 38 beginner runs and 32 black expert runs, it is no wonder why so many people choose to take their skiing holiday here. 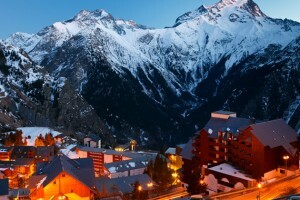 When looking for a great place to take the family on a skiing holiday, look no further than the Savoie Maurienne area. Being at the central point of 3 countries leads to some of the most spectacular sites in the world.